BROOKLYN (February 9, 2017) - Exciting Polish contender Andrzej Fonfara (28-4, 16 KOs) will meet former world champion Chad Dawson (34-4, 19 KOs) in a 10-round light heavyweight attraction as part of an exciting night of non-televised undercard bouts on Saturday, March 4 from Barclays Center, the home of BROOKLYN BOXING™. 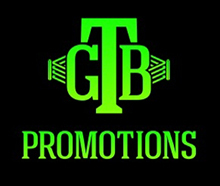 The March 4 event is headlined by the highly anticipated welterweight world title unification showdown between Keith Thurman and Danny Garcia that headlines SHOWTIME CHAMPIONSHIP BOXING on CBS, presented by Premier Boxing Champions. Broadcast coverage begins at 9 p.m. ET/6 p.m. PT with undefeated rising star Erickson Lubin battling once-beaten knockout artist Jorge Cota in a super welterweight title eliminator bout. "Fonfara vs. Dawson is the definition of a crossroads fight," said Lou DiBella, President of DiBella Entertainment. "Former world champion Chad Dawson needs a signature win to reignite his career. Fonfara is coming off a shocking knockout loss. Fonfara should have the support of New York's strong Polish community on March 4 at the Barclays Center. This is a significant light heavyweight fight and a terrific addition to a strong undercard." A popular Polish-fighter who has fought out of Chicago for most of his career, Fonfara will make his New York debut in front of the many Polish fans in Brooklyn. Now training in Oakland with Virgil Hunter, Fonfara will look to bounce back from a defeat to Joe Smith Jr. and work his way towards a second world title opportunity, after he dropped Adonis Stevenson in a decision loss for his world title in 2014. The 29-year-old has impressive recent victories including becoming the first fighter to stop Julio Cesar Chavez Jr., when he blasted out the former champion in nine rounds in 2015, and a follow-up victory over current light heavyweight titlist Nathan Cleverly that was a 2015 Fight of the Year candidate and saw the fighters break Compubox records in the division for number of punches landed (936) and thrown (2524) in a fight. A former world champion at light heavyweight, Dawson returns to the ring looking to earn another world title shot. The 33-year-old owns victories over former world champions Bernard Hopkins, Antonio Tarver and Tomasz Adamek and is coming off of victories over Shujaa El Amin last year. The New Haven, Connecticut-native has fought professionally since 2001 and was unbeaten in his first 21 pro fights on his way to becoming a two-time world champion. His victory over Hopkins in 2012 made him a three-time champion and he will now work his way towards a chance to become a four-time world champion. The two-fight SHOWTIME CHAMPIONSHIP BOXING on CBS broadcast will be just the second primetime boxing presentation on the CBS Television Network in nearly 40 years. It is presented by Premier Boxing Champions and produced by SHOWTIME Sports® for CBS Television, both divisions of the CBS Corporation.